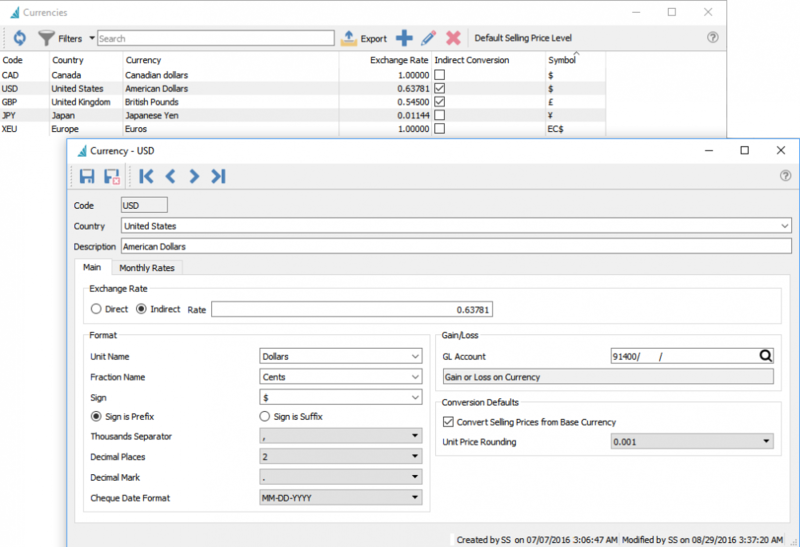 Click add or edit to setup a currency. Code – The international short code for a currency. Description – The name of the currency. Unit Name – The unit name that the currency is traded in such are dollars. Fraction Name – The fraction of units name such as cents. Sign – The sign or symbol for the name such as $. Sign is – Sign is a prefix or a suffix. Decimal Places – How many decimals is usually used. Decimal Mark – What mark is used for the decimals for instance a point or comma. Cheque Date Format – The date format for the date when paying with this currency. GL Account – The GL account to post gains and losses for this currency. Convert Selling Prices from Base Currency – If this is checked then the sell price will use the customers currency as a conversion. If not checked then it will sell at the same amount in foreign as it is set in base. Inventory price levels can be linked to a currency. 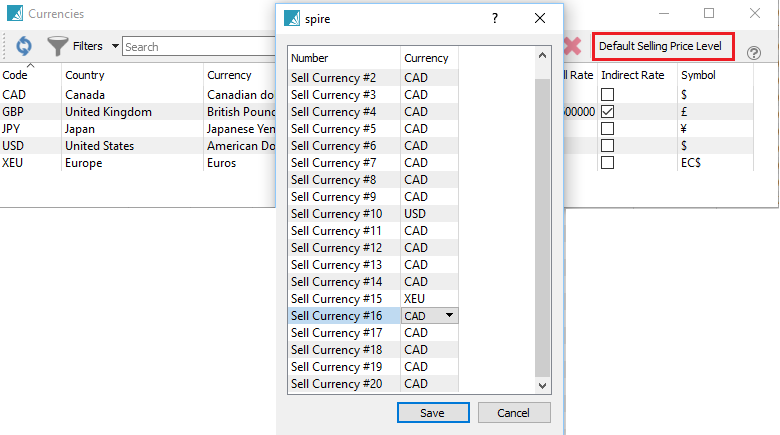 Highlight the currency in Edit/Currencies and click the “Default Selling Price Level” button. When a price is set for that level, it will charge in the currency selected. Unit Price Rounding – Usually set to the nearest 10th or 2 decimals.